In a perfect world, we would have the luxury of placing all of our data on the fastest media available. But for practical purposes, we must match storage to the requirements of the apps—which can be an issue when data profiles change rapidly and when data and apps are no longer in the same location (i.e. cloud). This expert guide outlines one answer to solving these I/O performance problems: implementing flash storage caching. 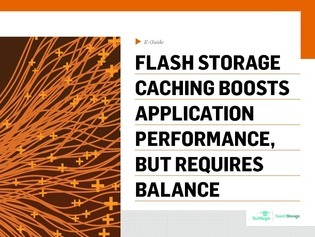 Read on for a rundown of flash caching benefits, tradeoffs, where to cache, and more Additionally, Brien Posey, Microsoft MVP, dishes on the state of the SSD caching market and on which vendors are caching in.